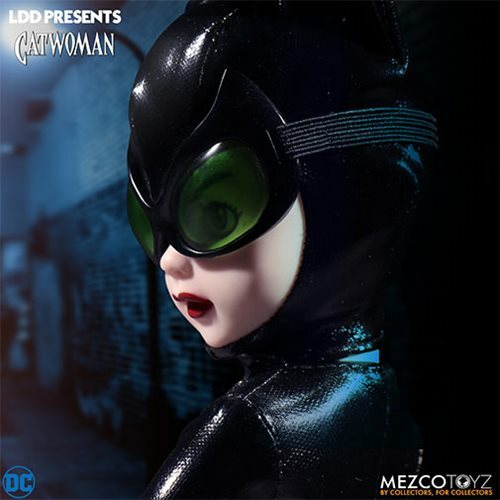 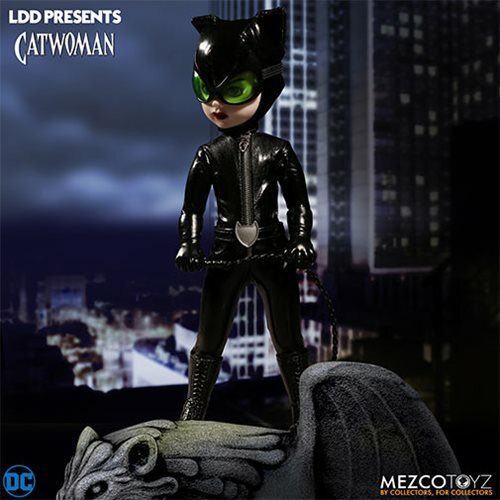 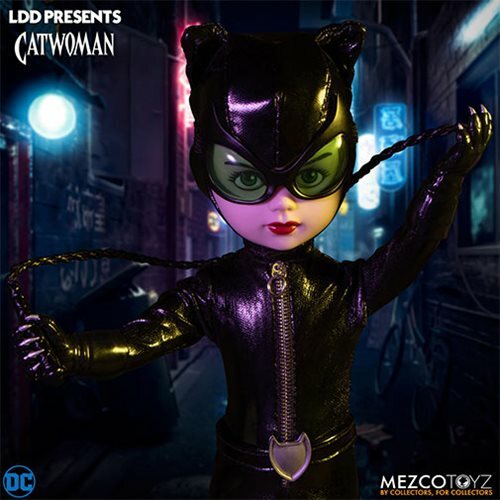 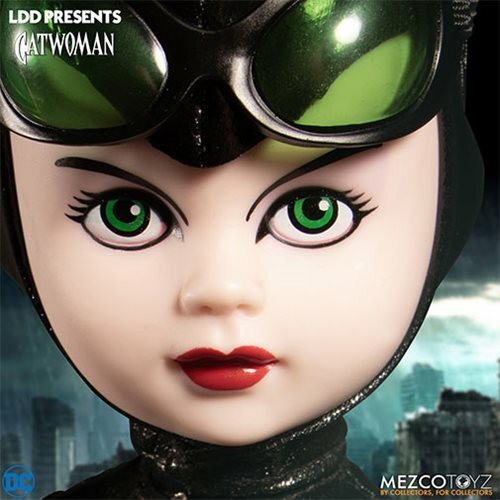 From Mezco comes the LDD Presents DC Universe Catwoman Doll! 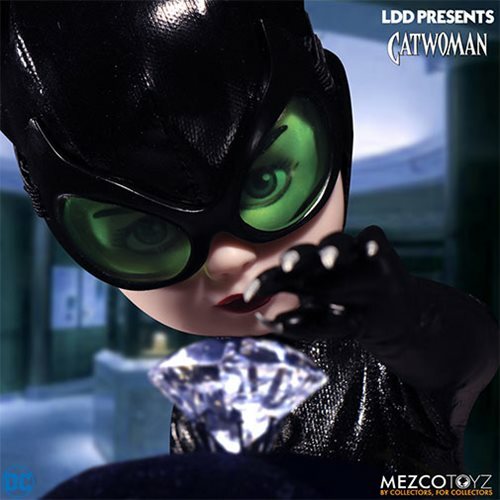 Based on her comic book appearance, Selina Kyle is notorious for stealing from Gotham City's rich and corrupt. 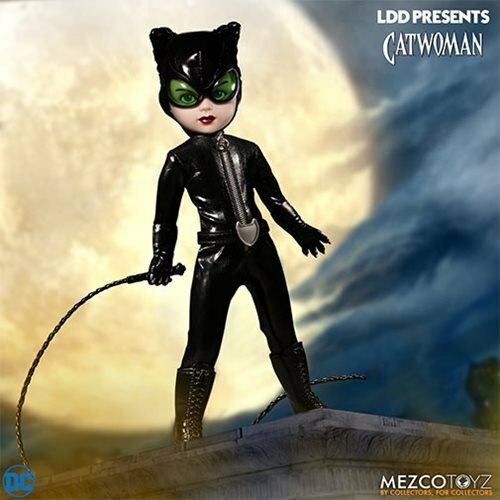 Outfitted in a leather-like body suit with working zipper and a cat-shaped buckle adorning the belt around her waist. 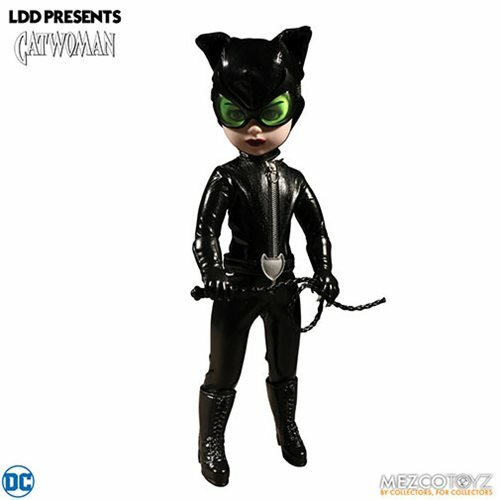 With removable night-vision goggles and signature whip, this kitten has claws. 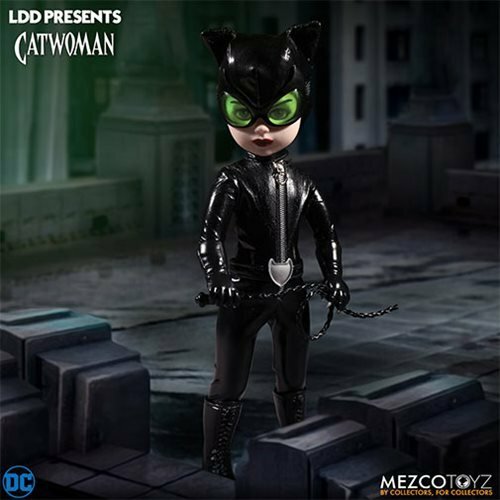 Standing 10-inches tall with 5 points of articulation, she comes packed in a window box, purrrfect for display.